Go to the market and buy asparagus, eggs, lemon, and butter. Then blanche your asparagus and shock it in ice water. Make hollandaise (in a blender, I’m not a sadist) with your lemons, eggs, and butter. 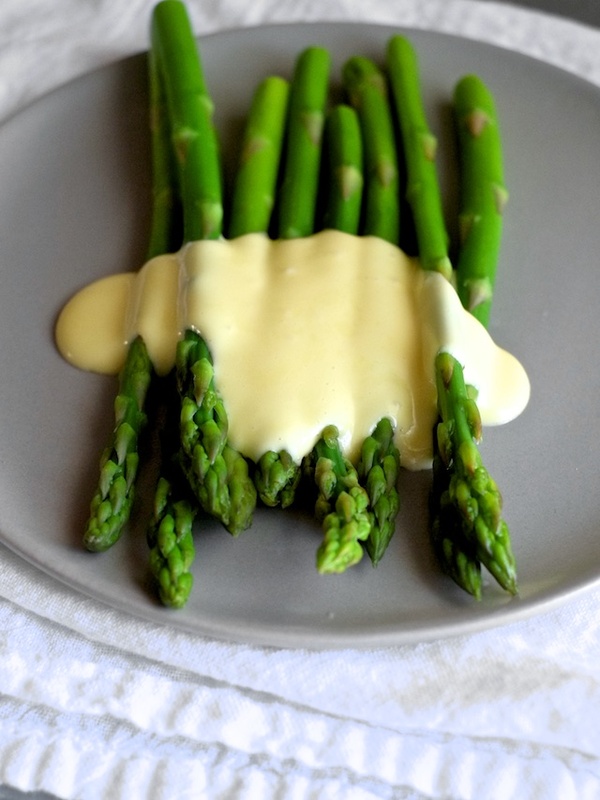 Line up a handful of asparagus, pour on the hollandaise, and eat them. If you need more accoutrements for a proper meal, I suggest bacon, english muffin, and a poached or fried egg (bam. asparagus benedict). Or you could buy some fat radishes, fancy flaky sea salt, butter (bonus if it’s cultured), and a baguette. 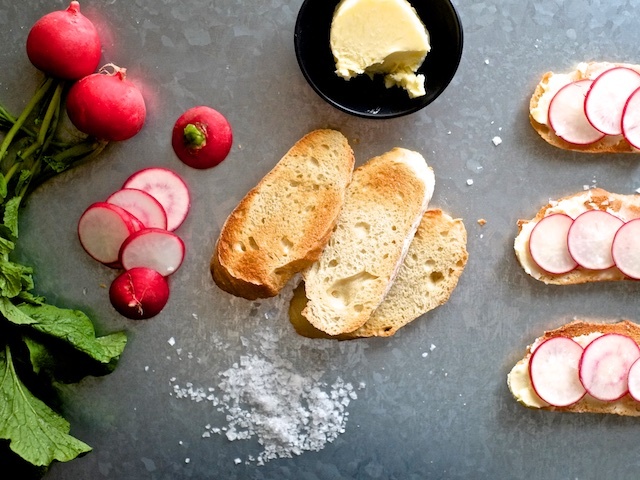 Slice and toast the baguette, let the butter come to room temperature, slice the radishes, slather the toast in butter, layer the radish slices, sprinkle with salt, and eat. You’ll find that while radishes on their own are bitter, radishes with butter are peppery and sweet. 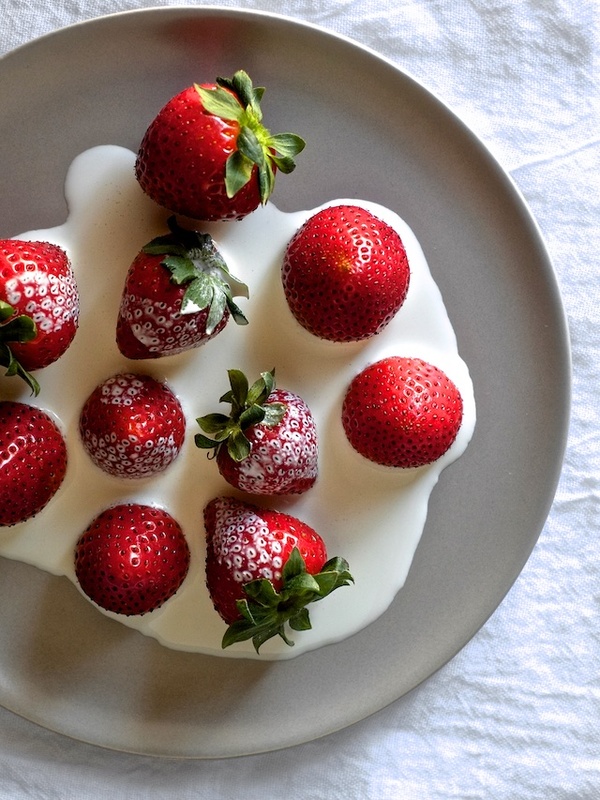 If you happen upon some pretty spring strawberries, grab them along with some heavy cream. Pour the cream on the berries and eat them. Resist the urge to add sugar. Probably slurp the cream when the berries are gone.